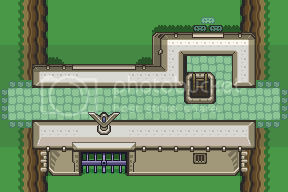 I aim to sprite most of OOT's objects and such from the outside child-Link world. I might have a go at dungeons and stuff later on. 4 Key = Toggles the Rain effect on and off. It remembers the intensity. I will update this demo with each completed area I make as and when I make them. 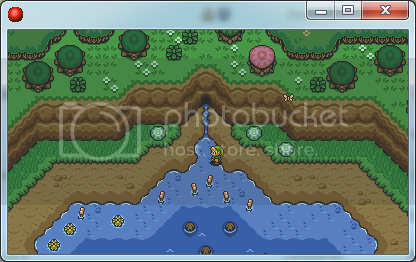 Collisions are accurate to LTTP. Again, BIG thanks goes to MaJoRa and Master Yoshi. Anyway, onto the sprites. 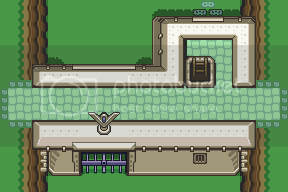 Please keep in mind that not all of the sprites I post are finished and I will be posting my work in progress. Any comments and critique are welcome. oh my god this is awesome.... 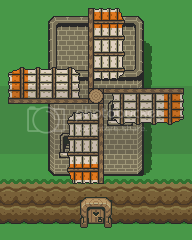 I will definitely be using a whole load of these sprites in the map. 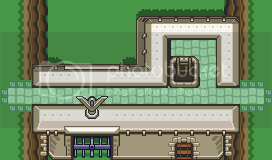 The Hyrule Castle fountain is a much better representation than I could do, and the gate is awesome, very good job. I love the Kakariko incomplete house, and the well looks rather good. 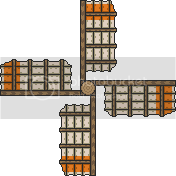 Though I am not entirely certain about the well yet, I will have to see how it looks in the project. The Triforce pad is rather cool, again I'll be using it. I will be replacing some of my large tree stumps with yours, they're kind of cool. The windmill however I still have reservations on. It looks awesome... but I am thinking of the gameplay if this were a real game... and I cannot see how the player might get inside of it as they do. You have the same reservations as I do lol Im still not quite sure on a lot of them but I think they make a good start. I understand that you might not want to use all of my sprites so feel free to use whichever ones you like and if you have any suggestions like resizing then just let me know. 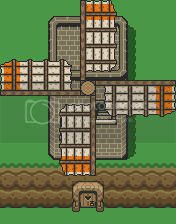 Any ideas how you would make the windmill look good and still work gameplay-wise? I might have a few ideas that I will share later on but it would be cool to hear your thoughts. The middle wishing well without the fence around it could be used as either an alternative or as the adult world version. 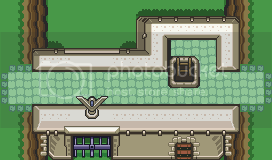 The Hyrule fountain is also not tiled properly(one pixel too big) so I need to redo that too. Ive also animated the water for it but I dont know how to create a GIF file and where to upload them to. If Anyone can help, that would be great. I would like to see Master Yoshis take on the tall tree stumps. Im sure he could do a much better job. Which one is best? 1, 2, 3 or 4? I had to look very close to find the difference between them. I would go with 2, number 4 and 3 look somewhat blurry and number 1 looks too minimal. Dang I really like that fountain, Skeme. The blue seems a little... too darkish purple, though? Ah it might just be me. Thanks man. 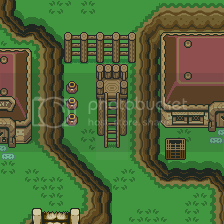 The water uses the same pallet as used in LTTP though. 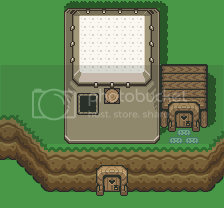 I just used the standard Faery cave water tiles for the fountains water. Didnt even change the colour. @Whitay Im not sure actually. Im perfectly fine with them being used by everyone but some of them are edits of MaJoRas work so it might be better to ask him. You enter the windmills middle floor from the little hut connected to the windmill and use some stairs inside the windmill to reach the top floor which contains the cukoo. 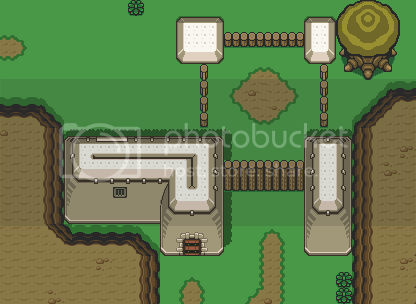 I know its not how its done in OOT but I think its impossible to accurately convert all sprites and gameplay elements from 3D to 2D. I think artistic freedom is needed in some cases like this. 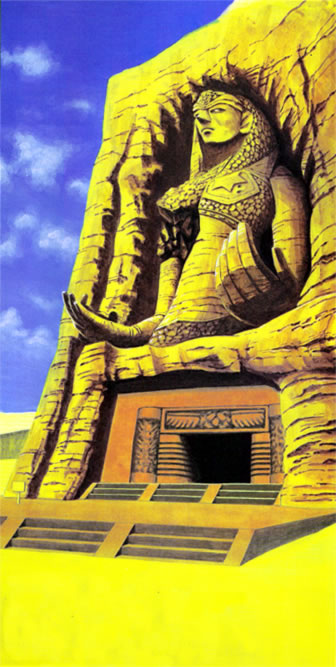 The sweet thing about the desert colossus was the big statue outside, expessially when you step out onto the hands. wouldnt that bigass statue(or atleast parts of it) have to be sprited for the game? also, the sides of the stairs wont blocked off. one more thing is there was an indent in the stone, like one or two tiles, then the entrance. yours looks good though, just naming some points in the game. looks good though! keep it up! 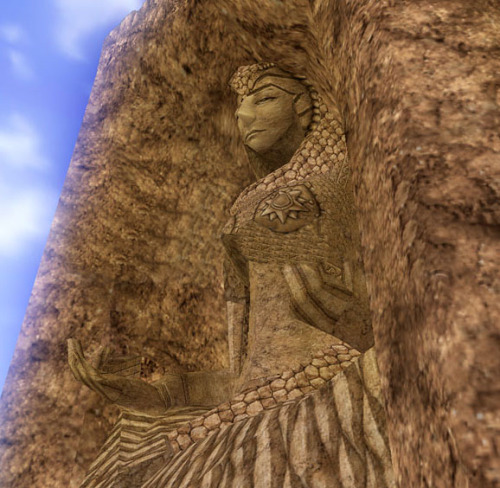 Yeah, I considered those things you mentioned and Im still deciding what to do about the big woman statue. I think it might be better to not include it? 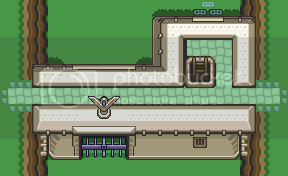 The blocked-off sides are a style choice of MaJora and a choice I think fits nicely with LTTP so I stuck with it. Im not sure what you mean about the indented stones....I will check that out as soon as I can. You mean something like this, right? 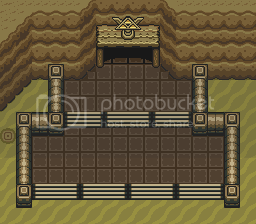 Make the mockup a bit bigger, with taller cliffs in the back. The statue will be easier to visualize then. Amazing pics! Thanks I actually sketched out the statue on grid paper earlier on from memory, so these will come in handy. Those are treasure chests in each hand, right? How do you reach them? Its important for me to know so I can make my sprite work gameplay - wise. From the sides of the cliff, look near the end of the video. 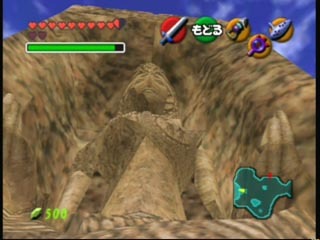 Remember, the statue is missing the left side of its upper body due to erosion. You can see the arm is detached from the shoulder. Im gonna give it a go though and see how it looks. I think this is more Master Yoshi and DJ Venoms area though. They could do a much better job then I will. Regardless of the statue, I have a different suggestion. Perhaps... The entrance could be made of something other than wood? 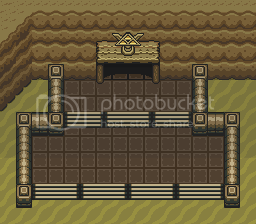 Perhaps that's actually stone, but the part that's supporting the triforce, the door post things, look like wood to me, which makes the whole edifice look a bit cheap, in my opinion.